We live in a world where women have to fight for equal opportunities (sadly, even though this is 2014!) and we are taught by society from a young age that our options are limited as women. It all comes down to representation and the imagery and examples we can create to show future generations the way. But when a girl goes to a toy store and only sees one type of toy offered to her (usually pink, and usually a princess), how on earth will they ever dream of being scientists, or CEOs, or engineers etc? Thankfully, because of the wonders of modern technology, there are smart women everywhere creating their open opportunities and busting down those stereotyped barriers. We’ve seen how toys such as Goldie Blox are showing girls the wonders of engineering from a young age. We’ve talked about the Lottie Dolls, and how they offer an alternative to image-obsessed, unrealistically-proportioned Barbie. And now there’s a another brand soon to be added to this group. 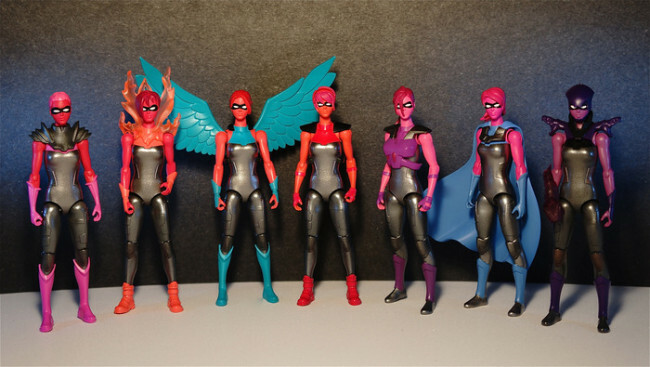 It is called ‘I Am Elemental‘ and they are a range of Female Superhero Figurines designed to ignite the imaginations of girls and encourage their confidence. The range, featuring 7 dolls with 7 different powers, was created by two mothers, Julie Kerwin and Dawn Nadeau from New York. Their idea was launched as a Kickstarter campaign, but by the end of the 30 days and after successfully raising over $160,000, it was clear these dolls were much more than an idea. They were something desperately needed on the toy market. Just so y’all know, the 2 moms were initially asking only for $35,ooo to make the figurines which will cost $8.99 each once they’re done. This means their campaign was funded 456%. Yet another example of how Kickstarter has been a huge boost for female startups and business ideas. Each of the 7 figures represent the seven elements of courage: bravery, energy, honesty, Industry, Enthusiasm, Persistence, and Fear. So why are these as-yet unavailable dolls so in-demand, and why did these women want to create such a project? Because they wanted to counteract the hyper-sexualized versions of female action figures currently available. “After scouring toy stores in search of action figures that are appropriate toys for young girls, we discovered that the typical female action figure on the market today is not actually designed for girls at all (or even boys). Instead, most are created for the adult male collector, decidedly more Hooters than Heroine,” they wrote. Secondly, they wanted girls to have a toy to play with that was endowed with super powers from within, rather than other sources (i.e a spider bite, mutant DNA, or some sort of “accident”). 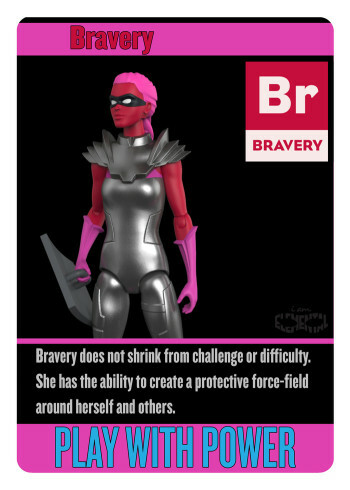 “In the I Am Elemental universe, the girl herself is the superhero – and she has all the superpowers she will ever need already inside of her.We have converted the Periodic Table of Elements into ‘The Elements of Power,’ ” they explained in the campaign, while also mentioning they used real-life female heroes such as Joan of Arc as their muse for each character. The point of these dolls is to show girls a strong character trait, but allow them to come up with the story themselves rather than dictating to them what a superhero looks like. 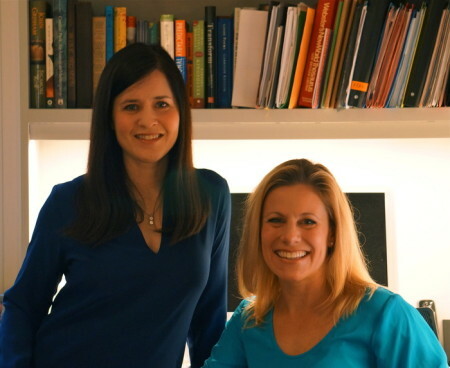 Julie and Dawn feel it is important to nurture the imaginations of young girls and teach them to form their own ideas of what feminine strength can be. The first series is based on elements of ‘Courage’, but the busy moms are already planning series 2 called ‘Wisdom’. Dawn spoke with Fast Company about the range and the type of movement they envision on creating for girls. “There really aren’t figures in that action category designed for girls,” she explained. Because they aren’t one of giant toy companies such as Mattel or Hasbro, they have a lot more freedom to create what they want, and hopefully one day share in a slice of the billion dollar pie that is the toy industry. And while they have a strong message that is devoid of any premature sexualization, they make it clear the I Am Elemental dolls are not anti-princess, unlike Goldie Blox who are pretty firm about going against the “pink” culture that seems to dominate the female toy aisles. “We are not anti-doll, or anti-princess. Rather, we believe that these stories are not the only stories girls carry inside themselves,” it stated in their Kickstarter campaign. “I think there’s room out there to hopefully uncouple these more adult messages about beauty and sexuality and give back some of the power that exists…we just want to let girls take ownership of these powerful, active story lines,” she expanded to Fast Company. The coolest thing about this new range is that it is another vital voice of representation being given to girls in their formative years. Imagine if we as kids had something as powerful as the I Am Elemental dolls in our hands from a young age! Imagine if we were given the tools to think outside the box and create our own dialog for women in the world, instead of the preconceived notions that are all too prevalent in society? The best thing about the inequality we face today, is that we actually do something about it as Julie and Dawn have so fabulously demonstrated. It’s almost ironic that the seven powers displayed in the dolls are the same types of traits we so desperately need more of as adults, so it only makes sense to nurture these from infancy. Listen, we won’t judge any adult who plans to buy these action figures, because there couldn’t be a better product to start you off as a collector. We don’t need dolls with ridiculously large breasts or exaggerated waist lines. We need bigger examples of courage! Check out their Kickstarter video (which is probably the best campaign video we have ever seen for a product!) and get familiar with your new female action heroes! If you are looking for a non-idealized/sexualized representation of women in toy form, you might want to support this campaign. https://www.kickstarter.com/projects/1732159183/marauder-task-force-valkyries-1-18-scale-female-fi/description. It appears that this toy company is trying to represent women in an honest and empowering way.